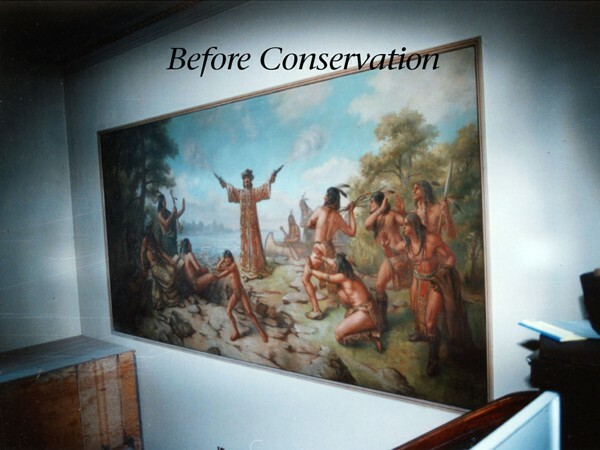 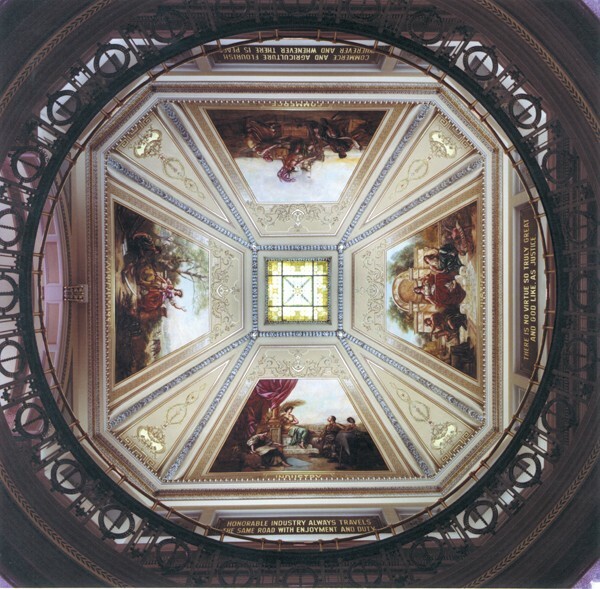 To conserve what could be saved and to provide replacement elements for what could not, for the R. Rohrbeck murals in the Brown County Courthouse rotunda in Green Bay, Wisconsin. 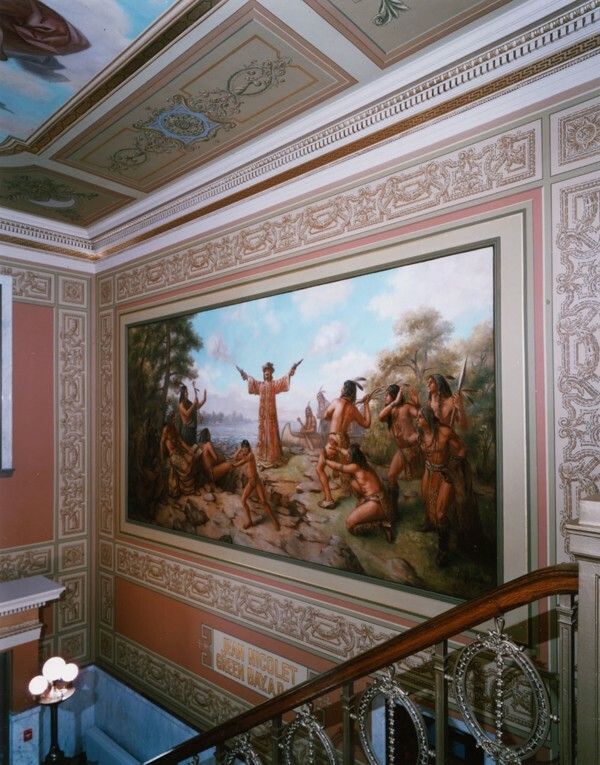 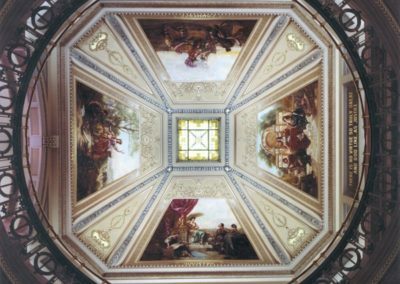 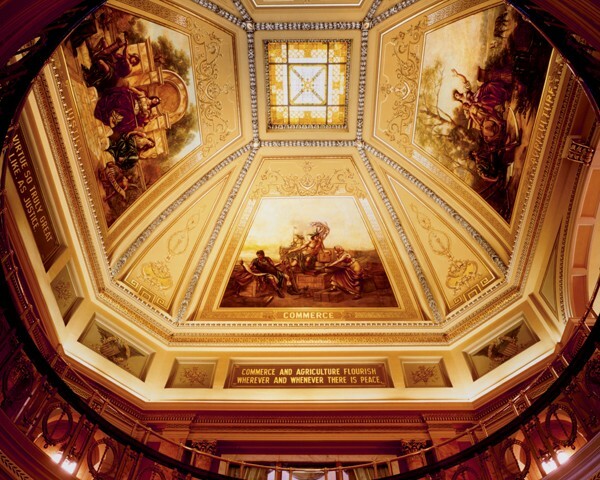 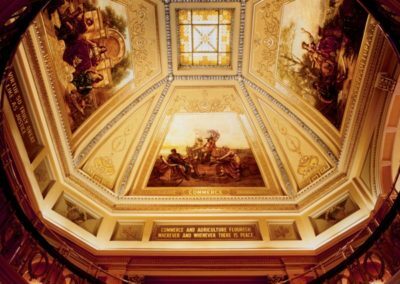 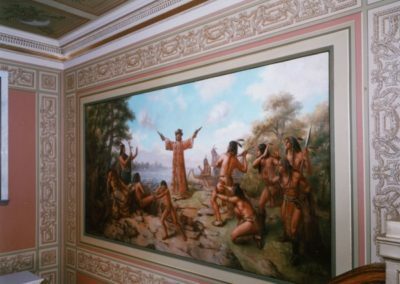 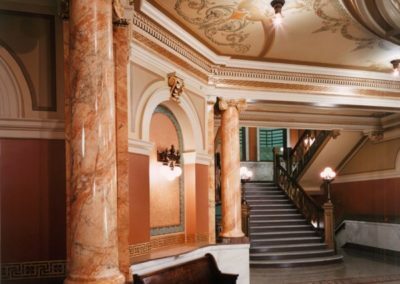 The late 19th century murals, representing Commerce, Agriculture, Industry and Justice, had been touched up and re-varnished in 1941. 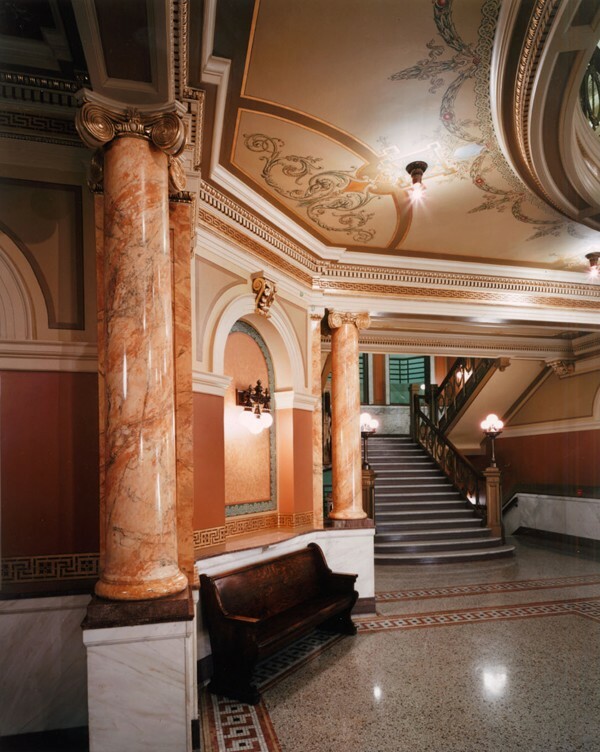 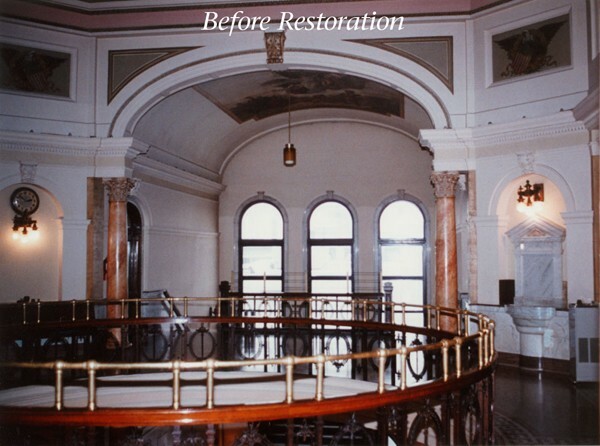 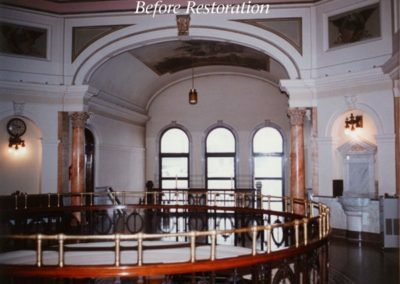 Over the ensuing decades, many of the finishes were damaged or destroyed by moisture. 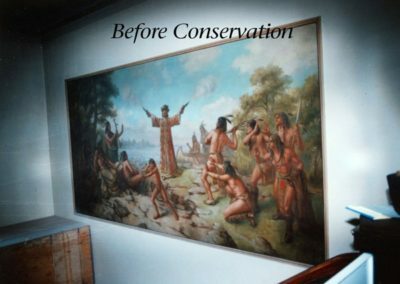 Conrad Schmitt Studios was commissioned to conserve what could be saved and to provide replacement elements necessary to complete the work.